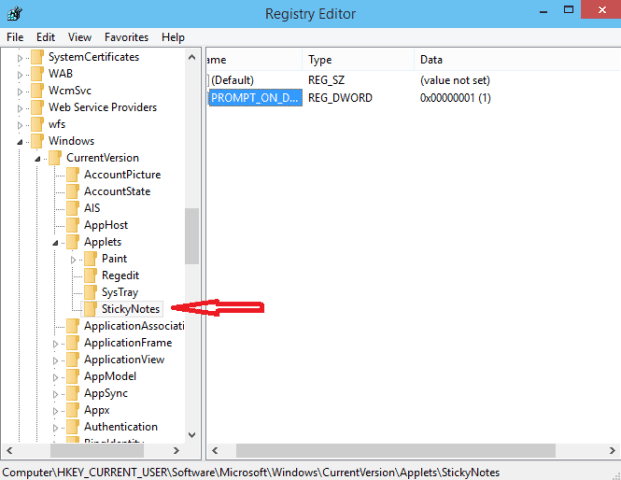 Sticky Notes is used in Windows 10 to note down quickly Contact Numbers, Email address and many more. Many times, it is found that sticky notes deleted by mistake. It generally happens because deleting it is easier that creating it. You have to just click on x button to delete sticky notes. Here, I am explain method using which you can recover deleted sticky notes and get a confirmation message before deletion of sticky notes. #. First of all, launch Run dialog box using Windows and R key simultaneously. #. Thereafter, you will get Sticky Notes folder which will have StickyNotes (.SNT) files. Double click on StickyNotes files to open it. But you will find nothing because by default Windows does not support .SNT format. #. Therefore, you need to open StickyNotes file using MS word or its equivalent. #. When file will be opened, you will see the actual Sticky Notes in the lower part of the document. #. First of all, open Run command using Windows and R key altogether. #. In Run dialog box, type regedit and press on Ok button to open Registry Editor. #. Now you will have to double click on PROMPT_ON_Delete value and put 1 to activate Delete confirmation box. #. After it, whenever you click on x button of Sticky Notes you will get a Delete confirmation dialog box. couldn't find them that way, but did type in, the sequence, then clicked browse, searched through the list to stikynot and clicked on it which brought up C:\Windows\System32\StikyNot.exe . clicked run and my sticky notes came back. The %ppData%\Microsoft\Sticky Notes\ Doesn't work.